Welcome to The Greening of Gavin – a site that documents my family’s journey towards a more sustainable lifestyle, and is a valuable resource for anyone who wants to live a simpler life. My name is Gavin Webber, and although I work full-time in the IT industry, by night and weekends I feverishly write, podcast, and make videos about the things you can do in your own life to make a difference for future generations, as our family travels down the path as well. I started this blog in February 2008 as a record of my journey, my thoughts during my ‘transformation‘, and to give hints and tips to anyone wanting to start living a simple and more sustainable lifestyle. It has grown to over 1600 articles, with over 2 million page views. After a few years of blogging about my journey, I started a second blog covering my cheese making hobby LittleGreenCheese.com. I also regularly add episodes to one podcast, Little Green Cheese, and have recently retired The Greening of Gavin podcast (which is still available), and frequently post cheese making how-to videos to my YouTube channel. I am also a trained Climate Reality Leader, and am available to present to audiences, big and small throughout the Greater Melbourne area. Contact me via my contact page to book a session. An Ordinary Australian Man Who Has A Green Epiphany Whilst Watching A Documentary, Gets a Hybrid Car, Plants A Large Organic Vegetable Garden, Goes Totally Solar, Lowers Consumption, Feeds compost Bins and Worms, Harvests Rainwater, Raises Chickens, Makes Cheese and Soap, and Eats Locally. All In The Effort To Reduce Our Family’s Carbon Footprint So We Can Start Making A Difference For Our Children & Future Generations To Come. 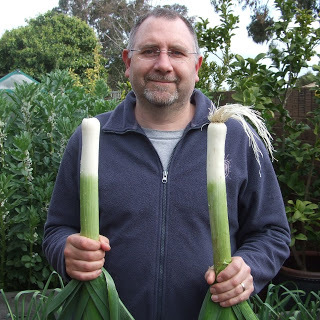 In May 2012, I announced to the blogosphere that I was going to write a series of eBooks about sustainable living based on my personal experience. It took me about a month of any spare time I could muster to get it down on the page. This first book was a short memoir. If you would like to read an extended version of my story, here is the eBook for free! Since that first book, I have release four more eBooks. They are The Way of The Chicken, Build Your Own Small Solar Power System, Build Your Own Backyard Clay Oven, and Keep Calm and Make Cheese, all which are available at many eBook retailers via my eBookstore.